Do you retain stagnant energy? 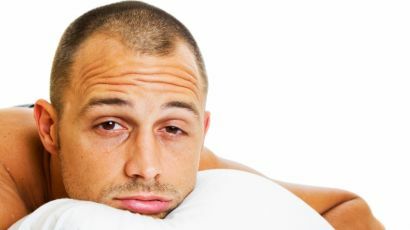 If you hold stagnant energy or resistance in your body, it can affect your health. Health is not just physical, but emotional. Your cells can retain emotional energy, which makes them go at a slower vibration, putting your health at risk. Learn to take care of your cells and emotions, and they will take care of you! To find out how to solve this, visit us at http://www.HealthyAtom.com, or drop us an email! Today’s Quote of the Day! Self care is an important aspect of your life. Without giving yourself the health and care you need, you will not have the energy for everything else. If you’re unsure where to start on your journey to optimum health, take a look at our website (www.HealthyAtom.com), or feel free to drop us an email and we will be happy to help you work out what you need. Here’s an interesting read about where we store body fat and why. Stress and feeling overwhelmed leads to pressure on the adrenals, which releases high levels of cortisol and this is stored as fat rolls across the abdomen, yet the limbs often remain slim. Too much alcohol leads to an overstressed liver, which releases high levels of unprocessed toxins and this is stored as swelling, seen as a protruded, rounded belly. A deficiency in amino acids/minerals leads to a hormonal imbalance, which causes estrogen dominance and this is stored as fat on the lower abdomen and hips. An overload of white sugar and bad carbohydrates leads to an overworked thyroid and pancreas, which releases high levels of insulin and this is stored as fat over the entire body, especially in the back, aka the love handles. Quote of the day! Learn more about talking care of your cells at our website. Toxic hair products have proven to be a major contributing factor of hair loss. These dangerous chemicals not only interfere with nourishment to the roots, they affect natural hair growth cycles by confusing the sebaceous glands, resulting in DHT hormonal problems. Visit http://www.ewg.org/skindeep to find out what products are toxic and what products are safe to use. What to Do? There are a few options on the market. Option One: The product minoxidil: This is a chemical compound, which blocks the DHT hormone from affecting the scalp. It can lower libido and if you stop taking it, hair loss resumes. This means that you may need to take the chemical for life. Option Two: Spray-on hair fibres or creams: Spray-on hair fibres are a quick fix. If you are not looking for a permanent result, then these do work. On the cream side of things, the latest rave on the market is L’Oreal’s Kerastase Densifique. It is quite expensive, but it claims to reawaken dormant hair cells. Option Three: Hair transplant: Very costly, you may require repeat procedures and it can be painful, but the results are immediate. Option Four: Up your vitamins and minerals. A deficiency in Vitamin D, B6, saw palmetto, amino acids and zinc have all been linked to hair loss. Biotin is currently a favourite supplement for promoting hair growth, but a good diet full of high antioxidants and green foods that are rich in minerals and vitamins will help with the balancing of the sebaceous glands and DHT hormone. Option Five: End the stress! Stress is a major contributing factor to the weakening of the whole system. In order for the body to live in a constant fight or flight mode, it may reduce its energy output into certain areas, such as nails, hair, teeth, etc. These areas then become vulnerable to vitamin loss. Learn to breathe deeply from your abdomen to bring down your stress levels. Option Six: Toupee time: The 70’s version of a toupee is over. There are now some very natural looking hairpieces, but few users are fully satisfied. They often feel self-conscious, as though they are living a ‘fake’ life. Option Seven: Go natural. Stimulate the follicle into re-growing the hair. Proper brushing and massage, when used in combination with non-toxic shampoos, can stimulate the glands and the capillaries, which in turn brings balance to the sebaceous glands and promotes new hair growth. Technique: Massage pure natural oil, such as organic olive oil or organic coconut oil, into the remaining hair and bald patch. Using a palm held brush with boar bristles, brush vigorously across the hair and scalp until you feel it stimulating the skin. If the scalp becomes severely irritated, then stop and resume once it calms down. The aim is to gradually build-up to 250+ strokes every day. Initially, the firm brushing will pull out other hairs from the scalp, but the probability of their follicles also being weak from using toxic products will be high. Do not panic! The stimulation will unblock the follicles and within a short period, new light coloured hairs will appear. Continue with the process. You may find that some of these fine strands also become uprooted. Again, do not panic, as they will be replaced with stronger hair in your usual colour tone. Combine the oil, brush and massage with deep breathing, high antioxidants, fresh veggies, amino acids, omega fats, fruit and a balanced diet, and you could be saying ‘hello’ to new hair growth. Disclaimer: The information contained here is for informational purposes only, and should not be used to replace professional medical advice. Visitors are responsible for how they chose to utilize this content. This information should not be relied on in diagnosing or treating any condition. These two bean-shaped organs in the middle of your back, one on each side, are responsible for balancing the pH of the blood and for flushing out waste and toxins. Build-up of mineral deposits from an overload of bad cholesterol and sloppy eating habits can result in painful kidney stones and a malfunctioning system. Why Cleanse Using Beetroot Juice? Beetroot juice is not only a superb antioxidant food, it is also high in nitrate, which converts to nitric oxide in the blood, a powerful compound to detox and nurture the kidneys. It has also proven to dissolve kidney stones, lower blood pressure and bad cholesterol levels and aid pregnant mothers with its high count of folic acid. Athletes have recently set the pace in using beetroot juice before a performance, as it has an excellent ability to raise stamina levels and increase the blood’s ability to carry oxygen by up to 400 per cent. Dr. Sandor (Alexander) Ferencz, is recognised for his pioneering work of using beetroot juice as a cancer therapy. A tradition used by Hippocrates. The 14 amino acids and high mineral count in beetroot, especially the main five of: betanidine, allantoine, farnesol, vitamins C and P, have not only shown the ability to improve a mutated cells respiration, but also supply a good source of minerals to the deficient cell, which can then begin to normalise its mutated status. Overall, beetroot is an all-round healer for the organs of the body. The liver, gallbladder, colon, intestines and bladder will all benefit from this cleanse. 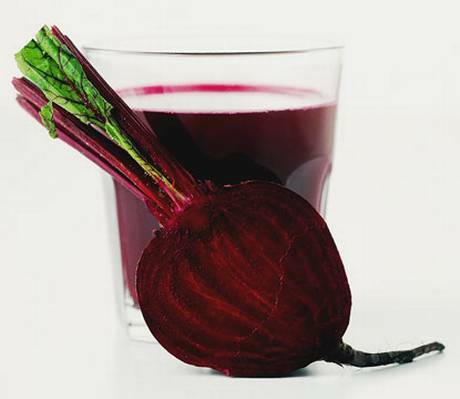 Is There Any Reason Why Not to Cleanse the Kidneys With Beetroot? If you have kidney disease or you are worried about your kidneys, then you will need to consult with your doctor before doing any cleanse. Side effects may include – discolouration of urine and stools, stomach upset and slight dizziness. Do not drink beetroot in large volumes, as it can be very powerful on the system, especially when taken in the morning on an empty stomach. Beetroot also contains oxalic acid. This activates phagocytes in the blood to break down bacterium, including parasites and mutated cells, but when oxalic acid and calcium combine, they can crystallise into further stones, so please avoid consuming foods high in calcium during the cleanse. Take four medium, organic beetroots, clean them with a vegetable brush and top and tail them. Bring them to boil in a covered saucepan with 1.5-2litres of water and then simmer for one hour. Allow to cool. Leave the lid on the saucepan and keep them at room temperature. Over the next three days, eat at least a beetroot and drink 2/3 small glasses of the juice that is in the pan throughout the day. Discard any remaining juice after three days and repeat the process should you choose to do so. Please note: You can store it in the refrigerator, but you will need to allow each glass of liquid to reach room temperature before consuming. If time is of the essence, then Live Wheatgrass can deliver their frozen beetroot throughout the EU and the USA. This comes already packaged in a 2oz pot, which can be thawed by standing it in a bowl of warm water for a few minutes. Disclaimer: The information contained on this article is for informational purposes only, and should not be used to replace professional medical advice. Visitors reading the info are responsible for how they chose to utilize this content. We advise you to speak to your health practitioner before embarking on any programme. This information should not be considered complete, nor should it be relied on in diagnosing or treating a medical condition. Content on this article does not contain information on all diseases, ailments, physical conditions or their treatment. Evidence of human parasites has been found in remains from as far back as 7,500yrs in Peru. In fact, Peru has a history of treating patients in hospitals using pumpkin seeds and a live yoghurt mix. They have found that prescribing this once or several times during a patients stay, can eliminate serious parasitic infections. It is estimated that 75% of the world population is suffering from parasites in the intestines, most are unaware. Once infected, the organism lays eggs and it is this that can cause the never-ending cycle of treatment in catching them at the hatching point before they too lay their eggs. Tapeworm is possibly the most difficult to eliminate. It can grow up to a staggering 50 feet long and live for 20yrs inside a host. They hook onto the side of the wall and the host may suffer from abdominal swelling and have blood in the stools. The passing of worms in the stools. 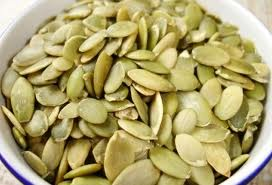 Pumpkin seeds, when eaten, release a chemical compound that actually makes the parasite drowsy. In its non-active state of basically being put to sleep, it cannot hook onto the wall of the intestines. The seeds also have a ‘scratchy’ consistency, so they scratch along the wall into all the nooks and crannies of the bends, pulling out and sweeping up the docile organisms. Followed by an oxygen laxative to make sure all the parasites have been expelled has also proven to be beneficial. Grind 200gm of pumpkin seeds and add live plain yoghurt to make up a porridge texture. You can also add a spoon of honey or organic unsulphured black-strap molasses. Do this at breakfast time. It is very filling and you may feel bloated. After 20mins, take at least 4+ oxy-powder capsules or any good laxative in order to assist it through the tract. It may not pass through the body until later that evening or the next day. If your symptoms have not abated, do it again. You can find a good laxative in the products: Oxy-Klenz or Power-Lax on our Healthy Atom website. Remember to follow the programme with a good probiotic, such as our Probiotic Max.